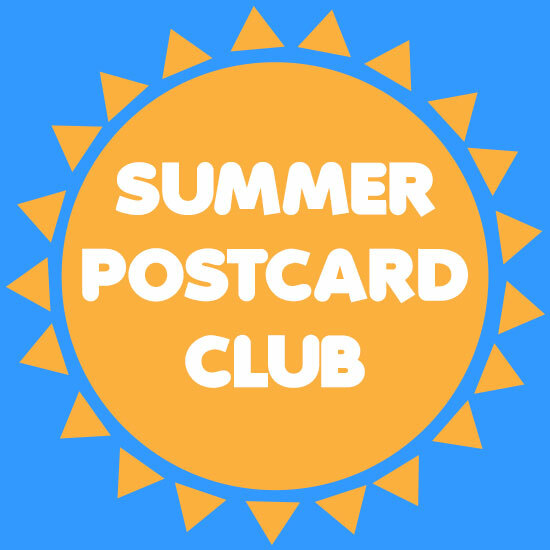 The Summer Postcard Club is a fun little project to collect together some people to send postcards to each other for some guaranteed surprise fun post. Signups are closed for 2015 but I might do it again next year – you can pester me on Twitter about it. This is a reminder page for everyone joining in. You should have received an email from me with some names and addresses. You need to send each of these people a postcard by the end of the Summer. In return, you’ll receive some postcards from different people. Just send a postcard and write and/or draw something on the back. Stuck for ideas? Just tell us what you’re up to today, or some fun facts about you or your hometown, or where you got the postcard. No envelopes or extra gifts should be included – it’s a postcard club. The email from me includes a few words from each person about stuff they like. You can use this as a guide to help you choose a postcard, or for what you write or draw, but don’t worry about it too much. We’ll all be happy to receive any kind of postcard. Ideally you should post all your postcards by the end of August, but definitely in time to arrive by the end of September. If something comes up and you’re going to miss the deadline, please email me and your postcard pals. You can send the postcards from your holidays, or from home. You can buy postcards, make them or use ones you already own. You can send them all at once or spread them out. It would be fun if you could share photos on your blog, Instagram etc. of the postcards you receive and/or info on the postcards you send. Make sure to send me the links and I’ll add them to this page. If you want to hashtag, #summerpostcardclub seems sensible. Also, I am going to be sending some extra postcards, maybe even to all of you eventually, and if you’re enjoying yourself and would like some more addresses, let me know. If you have any issues or questions, tweet me (@marceline) or email hello AT askingfortrouble.org. Have fun!